We're almost halfway through 2017. Considering I've shared a few book reviews recently instead of, you know, my normal content, I thought I'd share my favorite books of 2017 so far. I've been trying to get lots of reading in during the evenings. I've been working out regularly and to fill those long 45 minutes on the stair stepper, I find reading to be the thing that takes my mind away. So without further ado, here are my top 5 books I've read in 2017 so far. Also, here's to being almost exactly 50% through my 2017 goal! 1. The Lauras, by Sara Taylor. This is just a lovely book. If you're looking for a book with a diverse main character, an enigmatic, interesting, multifaceted mother, and a fun road trip based plot... this really is the one for you. I loved this book intensely and was just thinking of rereading it. When I first started reading this book, I felt very eye-rolly about it. I didn't think I would like it, but I was totally wrong. It's brilliant. It's just a fun mystery! I like that it seems realistic to police investigations. And of course, being set in the 1970s, it's quite fun. You can read my review on Goodreads here. Another beautiful book. I love books set in Appalachia; I think it is both an underserved population and also an underrepresented part of the United States in literature. It has a diverse population, which we don't necessarily see in this book, but nothing is perfect, right? This book is beautiful to read. Pure and simple, it's just a beautiful book. Another gorgeous book. I've been very into crime-based novels the past few months (replacing my Scottish romance obsession in the winter) and this one is no exception. It's a book that is written in such a way that is so peculiar, but also so interesting; also, it's 100% how a 13-year-old girl would react to trauma. I do wish the ending was better, but the writing really makes up for it. This is my only read nerd moment. This book feels so esoteric because, while City Gardens is famous (TONS of bands have played there), ultimately this book is the recollection of, like, friends about being friends at a place they all went to as late teenagers in the late 1970s and early 1980s. It's in New Jersey; I know none of these people; I have never even been to New Jersey. And yet, I read this book because music culture in the late 1970s and early 1980s in New Jersey is a weird little fascination of mine. Anyway, it's a great book, if you like oral historical accounts of music (just like in Please Kill Me, that ultimate punk book). Disclaimer: I received a copy of this book via NetGalley. You can read my disclosure policy here. As a warning, this review does contain significant spoilers. Uuuuuuuuugh, where do I start with this book? As I posted on Instagram recently, I... wanted to like it. I feel like it had a lot of good things going for it. Unfortunately, it suffered from a few flaws. But a few, I mean quite a few. By quite a few, I mean, ok, a lot. I'm trying to be nice here. Here's a brief synopsis: Beth, formerly JJ, was abducted, alongside her best friend, Sunny, 15 years before. 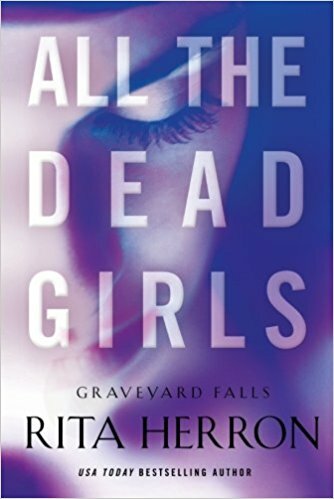 In the small town of Graveyard Falls, after a tornado devastates the the area, a massive graveyard full of the bodies of adolescent girls is discovered. Beth, now an FBI agent, teams up with her former high school crush-turned-sheriff (Ian, who ditched her the night she was abducted and whose stepfather was arrested for her abduction and Sunny's disappearance) to investigate the crime. I think my biggest issue with all this is the way that plot moves forward. Too much happens, but none of it makes sense or is logical. We as readers as asked to suspend disbelief too many times. Within any novel, you are suspending disbelief because novels don't necessarily represent reality, but rather an artistic representation of the world. But sometimes, it's just too much. Firstly, Beth would not be allowed to work on a case where a girl she was kidnapped with was found. This is her case. She is investigating a serial killer that targeted her specifically. I mean, that's really the biggest suspension of disbelief: the FBI would never allow a victim to work on the case as in the capacity of an agent. There is just no way for her to remain partial regarding the case. The same goes for the main male character, Ian, whose father was arrested for Beth's abduction when they were teenagers. Guess what? He's working the case too! Two people who would never be allowed to work on a case in reality are solving it as partners. That makes absolutely no sense. The FBI would never compromise themselves or a case this way. These storylines don't stand up on shows like Bones or Criminal Minds, let alone in novels. So, that's a shaky, rough start. One funny part at the beginning was when the "boneyard" (groan) is found. At least a dozen girls buried in a remote patch of woods. Ian, when gazing out over this field, notes that one skeleton is less deteriorated than the others. Throughout the novels, these are referred to as bones, suggesting that all of bodies have decomposed; however, they also talk about a girl who was murdered like a few weeks before. There is no way she would have been completely skeletonized at that point. Then I realized it: Rita Herron is uncomfortable writing about the actual appearance of these bodies, so she just refers to them as skeletons and the skeletons decomposing. It's so bizarre. I also took serious issue with the introduction of Prissy: we sympathize with her, we see the unsub return to her again and again and again throughout the novel, we hope for her survival... and then she's just dead. And then, it switches and it's Vanessa! Listen, Herron, a word of advice, one writer to another: if you introduce a character like this, in jeopardy, the reader is attached. It is a bad idea to 1) kill that character, but also 2) kill that character and then have the unsub abduct ANOTHER character right after. Like, c'mon. 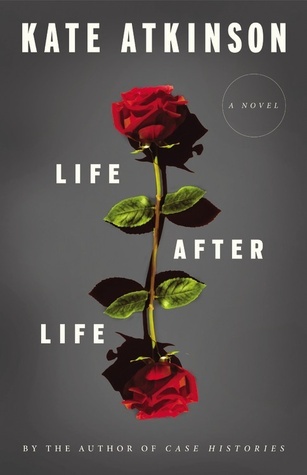 I feel like it was only done to add time, but I feel like so much could have been cut (the constant spoon-feeding of how "broken" and "victimized" Beth was... please, gag me, the mushy romance that was just super gross at times, Ian's worries about his mom which only bother him when the book needs a little filler) to actually save Prissy and keep that tension. We spend too much time at Prissy's house, learning about her, following her, and then she's just gone... and so is the tension of the book. It falls flat on its face before the story is even resolved. Ok, so, everyone take a seat. It's time to talk about Cocoa. The minute Cocoa was introduced (alongside her restaurant Cocoa's Cafe), I thought, "she better not be black." Guess what, guys? This book is not only operating on the assumption that the FBI would ever let a kidnapping victim investigate her own case, but it's also racist. Fun! Hey, Rita Herron, FYI: This is racist as all hell. DO NOT compare a person of color's skin to food in your novel. And then, do not name your only POC character after that color! GOOD GOD. And then the constant, "Cocoa is the heart of this community! She takes care of everybody! She gives away food!" And yet all the kids in town are racist as hell towards her granddaughter? Don't play that game, Rita Herron. The town you created is racist as hell and Cocoa would not be running a successful restaurant. If the kids are being racist to the granddaughter, it's because the parents are racist and while they might go to Cocoa's Cafe, they sure as hell wouldn't treat Cocoa much better. (God, I hate typing the name Cocoa.) I have trouble putting into words how inappropriate the character of Cocoa (and by extension, Cocoa's husband Deon and the granddaughter Vanessa) are, but if I'm offended and weirded out by these characters, I cannot imagine how a POC actually reading this book would react. This is the most problematic part of this book and it's because it feels so gross and so racist. Ok, we've covered the blatant racism. Now, let's talk about how everything is spoon-fed to us. 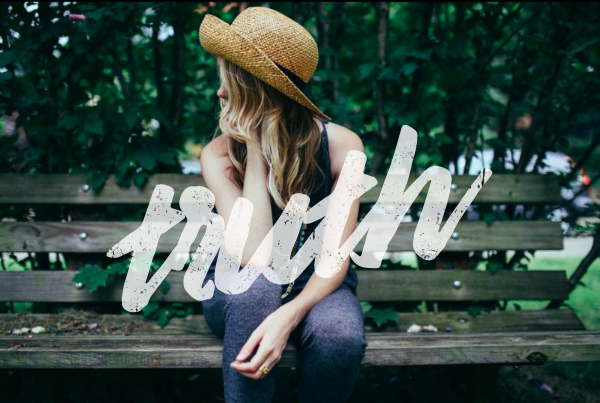 Over and over again, Beth mulls (and mulls and mulls) over how victimized she is. How she experienced amnesia. How she needs to just remember. She just tells us these things. We aren't ever shown these things. Occasionally, Beth blanks out and freaks out over something, like the Deathscape game or a picture. This is not only super unprofessional, but it makes me think: How would Beth EVER pass the FBI psych test? (Hint: she probably wouldn't. Sorry, Beth/JJ/whatever.) It's all so blatantly spoon-fed to us and as a reader, it feels like pandering. I don't want Beth to tell me over and over that she's been victimized, but she's ok, but she's scared, but she's fine, really, but she's freaking out at a blood donation van. Like, ok, maybe just show me these things and let me draw the conclusion on my own? As a reader? Which is the job of the reader? The same goes for everything with Ian. We are spoon-fed everything about Ian, but my only takeaway regarding Ian is that he is super inappropriate with his female coworkers and he needs to calm down. Dude, don't be nasty. We're supposed to feel bad for him because his (step)father was arrested for Beth's abduction, but all the evidence pointed to his stepfather and I can't actually find any point where Ian shows genuine emotion for his stepfather. We're just told he does, but that's not the same as actually seeing. As every creative writing teacher has ever said ever: show, don't tell, stupid. Let's talk about how terrible at his job Ian is. In the first 25% of the book, right after Ian knows to look for someone obsessed with religious symbols and lives in the remote mountains around town, Cocoa herself tells him that a guy who lives in the mountains (ding) is painting religious paintings (ding) for an auction for the town. IAN, GET THAT GUY'S NAME. Cocoa just did at least 50% of your job. Why are you so bad at your job?? Multiple people mention this guy to Ian and he just ignores it. But when I first read it, I was like, "it was that guy." Guess what? It's not. But they DO arrest that guy near the end of the book. We could have literally skipped half of this terrible novel if Ian would just listen to the poor woman. Also, I refuse to believe that there are THIS MANY DUDES in a tiny town with only one restaurant obsessed with punishing 14-year-old girls, bloodletting, and religious symbology. It's another suspension of disbelief because, prior to this novel, two separate serial killers were found in this small town. So in this novel alone they arrest the actual serial killer plus a guy who was punishing girls and performing exorcisms with bloodletting plus a guy who paints religious symbology in blood. That's just too much in one small town. The serial killer aspect is fine, but the larger narrative of this religious cult that is obsessed with punishing 14-year-old girls for being "sinners" requires me to believe that men are just absolute scum and feminism teaches me otherwise. No thank you. Another big glaring FBI issue: when the director tells Beth she's off the case and she disobeys him. He says she's too close to the case (which he would have never allowed her onto in the first place, but whatever) and tells her she's on a break. She doesn't and Ian doesn't care. She would be fired immediately. ASAP. The FBI don't give a hoot. Also, when she shoots the coach? Yeah, her gun would IMMEDIATELY be confiscated as evidence, no exceptions. The director wouldn't "let her keep it because she needs to protect herself." No. It's evidence. She shot someone! This isn't how investigations work! She had also been kicked off the case at that point, so technically she's a rogue agent who just shot a civilian. She would be in handcuffs. I can't. It's so unrealistic. When I originally wrote my review on Goodreads, I forgot to include the dumbest part: at the end of the novel, Ian tracks Beth down in Knoxville (so... ugh, romantic?) and proposes. They've been friends for about 2 weeks at this point. Beth shot his dad. And he proposes? Ok, sure, that's how romantic relationships work. It's so gross. It feels like Beth is just like, "ok, I'm healed now! I went through some stuff and wasn't ok, but now I'm ok because I have a man!" And I just... I would like Beth to go to therapy and really think about if she likes Ian or not. Because Ian's gross. There's so much more I could talk about. I wanted to like this novel because the serial killer aspect is so good and the crime is actually really convincing. I like Beth as a character when we aren't being spoonifed every single aspect of her personality. There are just so many issues that detract from what sounds like a good prompt. I wish it was better. But it's not. To read my original view on Goodreads (and follow my reviews! ), click here. If you like the content here on Writing Between Pauses, I'd love if you'd take a second to subscribe to my newsletter. I love to read. Between October and December 31, I read 53 books. You read that right: 53 books in 3 months--that's about 17 books a month, that's 4 books a week. If a book sits still long enough, I'll probably read it, even if I have no interest in it. I'm just that kind of person. I'm just that kind of reader. On my iPhone, I keep a Note with a list of the books I'm due to read: books I've downloaded from Amazon, books I've bought, or books I plan to review. I thought I'd share my reading list because it will keep me accountable (I really need to stop downloading more books...) and because I'm always a little nosy about what other people are reading. In case you were wondering: yes, that is quite a lot of books and yes, I am a bit overwhelmed as I've fallen desperately behind on my reading list! I'm always on the hunt for affordable (or even free) books to read while I'm between books. If you're like me and you can read a book in a day easily, then you can end up spending a lot of money on books--or just going without, which isn't the ideal situation! I can't afford to buy 53 books in 3 months, that's for sure. Here are my favorite ways to get affordable, or even free, books. NetGalley is a website where you can sign up and receive ebooks (via your Kindle or just as a PDF download) to read in exchange for a review. You can review them on NetGalley, on your blog, or on Goodreads (preferably all three). Since signing up a few weeks ago, I've read tons of books and written lots of reviews; some of them are great, some of them are not-so-great, but it's a good opportunities for those looking to start reviewing. Or who just love to read and review books! If you have Amazon Prime, they now have a program called Prime Reading, where you can download books for free to read. I love this program because I've found some new authors that I love (like Emma Prince) and fully plan to buy all their books! If you don't have Amazon Prime, but do have a Kindle reader, I highly recommend Kindle Unlimited. I've read some amazing series through Kindle Unlimited. It's $10.99 per month and you can borrow up to 10 books at a time. Kindle Unlimited has helped me discover some books that I absolutely love, as well as some authors that I cannot get enough of. When I find a book I like, I always buy the next book in the series, even if it's on Kindle Unlimited. Hey Zoella, here's the cold, hard truth. Zoe Sugg is a "YouTuber" (as I typed this, I literally had to close my eyes and take ten deep breaths, all while reminding myself of Myspace and Livejournal celebrities when I was a teenager). Most people know her as "Zoella", a name that is somehow more unwieldy than her given name. Except, after her book was released and started to sell lots and lots of copies, it was revealed that, um, Zoella didn't write it. Ok, yeah, everyone says she "thought up the characters and ideas," but they said that about Kendall and Kylie Jenner's book, too. I'm sure Zoella (and Kendal & Kylie) sat in a meeting about the book and "thought up characters" -- but I don't think for a second she had anymore input than that. The sad part is that in the video announcing her novel, Zoella talked about how excited she was and expressed a love of writing. If she loved writing so much, why was the book ghostwritten? Her publisher has said explicitly that it was not written by Zoella -- but even a word. In fact, the ghostwriter has actually stepped forward to talk about the lack of transparency when it comes to celebrity ghostwriters. You might wonder: Michelle, what's the big deal? She's a celebrity, a "YouTuber." Surely no one expected her to write a novel? Sure, yeah. However, like I said, Zoella has said she "wrote" the novel several times and has expressed a love of writing. As someone who is famous on YouTube for being, er, famous on YouTube (can you tell I do not understand this YouTuber fame trend? ), her brand is based entirely on authenticity. She's famous for being her, not for having any kind of specific talent. That sounds like a total burn, but I don't mean it like that. Her fame is based on the fact that she's just a normal person filming videos (and making obscene amounts of money for it...). This article does a great job in pointing out that yes, Zoella, there are major issues with using a ghostwriter, specifically for your book. It might be standard practice in publishing, but with a new medium like YouTube, the results are not the same for others. YouTubers base their fame on authenticity and using a ghostwriter is the opposite of that. It undermines the brand that Zoella has established. That being said, I don't really think any of this is Zoella's fault. Do I think Zoella was naive about how the publishing industry worked? Yes. I believe she was probably told that ghostwriting was the standard for the industry and that if she wanted the book to get finished and be successful, it was the way to go. If she'd known more, she would have put her foot down and demanded to write the book herself -- but she didn't. We know that. She let a ghostwriter do it. So yes, Zoella is naive, but being ignorant isn't a crime. Now, if only she would stop tweeting about quitting the internet and people "twisting her words" and actually show that she's learned from this experience -- she might actually build on that brand that's been hurt by this whole ghostwriting debacle. Because really, the people she lied to were the fans who bought her book in the thousands. People bought that book thinking Zoella had written it because she'd told them she had -- and to find out she hadn't? That's a major break in trust. The real issue here is the greater implication this has for publishing as a whole. People are becoming more aware of ghostwriting -- and more aware of issues facing the publishing world. Remember James Fry's A Million Little Pieces? After his book was revealed to be, uh, wildly elaborated, a slew of other autobiographies were revealed to be largely works of fiction. Which was kind of embarrassing for a lot of people, but it had been happening for a long time. Does Zoella's use of a ghostwriter -- and the public's reaction to it -- mean that more books will be shunned because of their use of ghostwriters? It is entirely possible and personally, I think it will be a good thing.